I’ve never felt comfortable writing a Mother’s Day post. And even this is mostly an unlikely one. 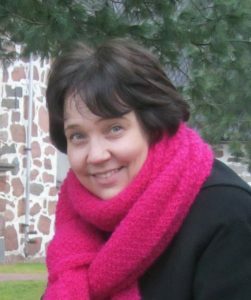 I have a wonderful mom (love you!) and I love being a mom. But my heart goes out for anyone who would (have) like(d) to be a mom and isn’t. I don’t feel comfortable boasting about my blessings. (But we are certainly encouraged to count our blessings). The only thing I want to boast about is God’s grace. And that is the best thing my mom ever shared with me (thank you!). I want to pass on the very same thing not only to my own children but to everyone in the world. Life is not about blessings. Life is not about being a mom or not being a mom (or anything else you wanna be). 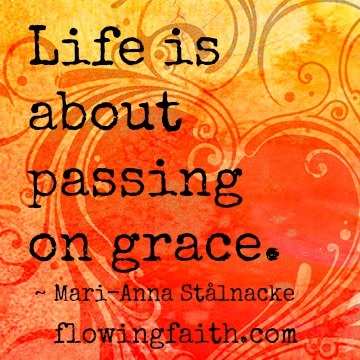 Life is about passing on grace. Even if our parents love us very much, God loves us most. Nothing compares to God’s love. You can rest assured that you, too, are a gift from God, much cherished and loved by God. He loves you so much that he gave his only Son so you could enjoy his love forever. I am serious about this. God’s grace is the most important and wondrous thing in the whole wide world. God’s grace gives us meaning and purpose for life and beyond. Life is not about blessings. About being this or that, or about lack of something. And you have a role in it. You are to be fruitful for God’s kingdom. And there are many, many ways to be fruitful. Find yours by abiding in Christ. And your life will never be without purpose and meaning. God’s wild but gentle grace. Image courtesy of Will Wallace, design by Mari-Anna Stålnacke.This post is refurbished from last year. Linking up today with Thought-Provoking Thursday, Faith-filled Fridays.